Marie Flannery's research focuses on the multiple symptoms experienced by older adults with advanced cancer. She works to develop interventions that can decrease the burden of patients' symptoms and improve the quality of their lives. She is particularly interested in finding new methods to improve symptom reporting and communication between health care providers and individuals, as well as their family caregivers, as a way to enhance symptom management. Flannery was the first nurse selected for a prestigious three-year fellowship in a National Cancer Institute-funded R-25 Cancer Control Research Training Program, which provides researchers with the experience to establish careers as outstanding independent investigators in cancer control and prevention research. She has received funding from the Wilmot Cancer Institute and the Oncology Nursing Society Foundation for her research. She brings extensive clinical experience to her work. For nearly 25 years, she was the senior nurse practitioner in a medical oncology ambulatory practice, where she cared for individuals with advanced cancer and helped them manage pain and other symptoms. Flannery's clinical and research expertise has been recognized repeatedly. 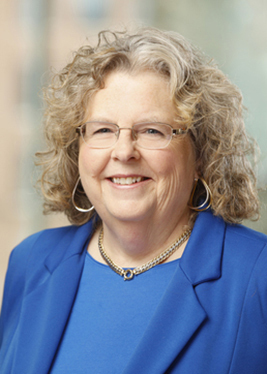 She currently serves as associate editor for the Oncology Nursing Forum, one of the highest impact nursing journals. Among her many honors, she is the recipient of the School of Nursing's Most Promising New Investigator Award, the American Society of Clinical Oncology Conquer Cancer Foundation Merit Award in Palliative Care Oncology, and the 2014 March of Dimes Oncology Nurse of the Year. Nurses time investment and care management in ambulatory oncology phone calls. Age-related differences in symptom burden in adults with dyspnea and advanced stage cancer. Multiple Symptoms in Advanced Cancer have a Superadditive Effect on Quality of Life and Depression. Telephone Reporting Identifies Symptoms Most Important to patients. Flannery, M. (2018). Enhancing geriatric oncology care with a multi-disciplinary, multi-site geriatric oncology clinical and research program. Psycho-Oncology, 25 (10), 3161-3169. Chuang, Yu-Ching Flannery, Marie (2017). Evolutionary Concept Analysis of Nursing Autonomy. Nursing Research, 66 (2), E67-E67. Flannery, M., Yang, Y.C., Conrow, L., Mohile, S. (2017). Multiple Symptoms and Patient Reported Importance from 109 Vulnerable Older Adults with Advanced Cancer. International Society of Nurse4s in Cancer Care. Flannery, M; Chuang, YC; Conrow, L (2017). Baseline Symptoms in 348 Vulnerable Older Adults with Advanced Cancer: Findings from a National Clinical Trial. Oncology Nursing Forum, 44 (2). Flannery, M (2017). Self-Determination Theory: Intrinsic Motivation and Behavioral Change. Oncology Nursing Forum, 44 (2), 155-156. Kamen, C., Jabson, J., Mustian. K., Flannery, M., Boehmer, U. (2017). Psychological distress, minority stress, and psychosocial resources among sexual minority breast cancer survivors. , 26, 57. Flannery, M. Kamen, C. Magnuson, A. Mohile, S. (2017). Examining distress level and symptom burden in 366 geriatric oncology patients. , 26, 55. Asare, M; Flannery, M; Kamen, C (2017). Social Determinants of Health: A Framework for Studying Cancer Health Disparities and Minority Participation in Research. Oncology Nursing Forum, 44 (1), 20-23. Flannery, M, & Rotondo, L. (2016). Changing practice: Frameworks from implementation science. ONF, 43 (3). Flannery, M (2016). Explicit assumptions about knowing. Oncology Nursing Forum, 43 (2), 245-247. Flannery M (2016). Common Perspectives in Qualitative Research. Oncology Nursing Forum, 43 (3), 517-518. Flannery, M (2016). Examining The Patient's Identified Priority Symptom In Advanced Lung Cancer. Oncology Nursing Forum, 43 (2), 39-39. Kamen, C., Smith-Stoner, M., Heckler, C., Flannery, M., & Margolies, L. (2016). Social support, health, and lesbian, gay, bisexual, and transgender (LGBT) identity disclosure to cancer care providers. Oncology Nursing Forum, 42 (1), 44-51. Flannery M, Rotonodo L (2016). Changing Practice: Frameworks from Implementation. Oncology Nursing Forum, 43 (3), 285-388. Arida, J.A., Sherwood, P.R., Flannery, M., Donovan, H.S. (2016). Representational Approach: A Conceptual Framework to Guide Patient Education Research and Practice. , 43 (6), 781-783. Mohile, S.G., Hurria, A., Cohen, H.J., Rowland, J.H., Leach, C.R., Arora, N.K., Canin, B., Muss, H.B., Maguson, A., Flannery, M. et al (2016). Improving the quality of surivorship for oder adults with cancer. Cancer, 122 (16), 2459-568. Flannery, M. (2015). Nursing care of the client with lung cancer. In J. Itano & K,. Taija (Eds.).. Core Curriculum, Oncology Nursing (5th ed.). Flannery, M. (2015). Nursing care of the client with lung cancer. Core Curriculum Oncology Nursing, 81-89. Flannery, MA; Magnuson, A; Guido, JJ; Peppone, LJ; Dale, W; Mohile, SG (2015). Comparison of older adult symptom occurrence rates in a geriatric-oncology clinic with meta-analysis for adults receiving chemotherapy. Journal of Clinical oncology, 33 (29), 0732-183X. Peoples AR, Bushunow PW, Garland SN, Heckler CE, Roscoe JA, Peppone LL, Dudgeon DJ, Kirshner JJ, Banerjee TK, Hopkins JO, Dakhil SR, Flannery MA, Morrow GR. (2015). Buspirone for management of dyspnea in cancer patients receiving chemotherapy: a randomized placebo-controlled URCC CCOP study. Support Care Cancer. Flannery, M; Wells, N (2015). Patient's Priority Symptom: Examination In Advanced Lung Cancer. Oncology Nursing Forum, 42 (2), E238. Peppone, LJ; Tejani, MA; Mustian, KM; Janelsins, MC; Kamen, CS; Mohile, SG; Peoples, AR; Flannery, MA; Skinner, KA (2015). Prognostic characteristics of 492 newly diagnosed breast cancer patients by serum vitamin D levels. JOURNAL OF CLINICAL ONCOLOGY, 33 (15), S.
Kamen, Charles Stewart; Peppone, Luke Joseph; Janelsins, Michelle Christine; Peoples, Anita Roselyn; Tejani, Mohamedtaki Abdulaziz; Flannery, Marie Anne; Morrow, Gary R.; Mustian, Karen Michelle (2015). A dyadic exercise intervention to reduce psychological distress among lesbian, gay, bisexual, transgender, and heterosexual cancer survivors. JOURNAL OF CLINICAL ONCOLOGY, 33 (15), S.
Tejani, MA; Kamen, C; Peoples, AR; Flannery, M; Mustian, K; Janelsins, M; Peppone, L; Mohile, S; Morrow, G (2015). Impact Of Patient-Physician Communication On Psychological Distress Among 5,106 Cancer Patients Froma Us National Survey. Annals of Behavioral Medicine, 49 (1), S221-S221. Kamen, C; Margolies, L; Scout, N; Smith-Stoner, M; Peoples, AR; Tejani, MA; Flannery, M; Morrow, G; Mustian, K (2015). Experiences Of Lesbian, Gay, Bisexual, And Transgender (Lgbt) Patients In The Context Of Cancer Care. Annals of Behavioral Medicine, 49 (1), S97-S97. Peoples, AR; Roscoe, JA; Heckler, CE; Kamen, C; Peppone, L; Janelsins, M; Flannery, M; Mustian, K; Morrow, G (2015). Benefits Of Cognitive Behavioral Therapy For Insomnia (Cbt-I) On Depression In Cancer Survivors. Annals of Behavioral Medicine, 19 (1), S88-S88. Flannery, M; Heckler, CE; Kamen, C; Tejani, MA; Banjerjee, T; Esparaz, B; Giguere, J; Chen, MC; Mohile, S; Morrow, G (2015). AGE-RELATED DIFFERENCES IN SYMPTOM BURDEN: OLDER ADULTS WITH DYSPNEA AND ADVANCED STAGE CANCER. Annals of Behavioral Medicine, 49 (1), S5-S5. Kamen CS, Smith-Stoner M, Heckler CE, Flannery M, Margolies L. (2015). Social support, self-rated health, and lesbian, gay, bisexual, and transgender identity disclosure to cancer care providers. Oncology Nursing Forum, 42 (1), 44-51. Chimenti, R. L., Flemister, A. S., Tome, J., McMahon, J. M., Flannery, M. A., Xue, Y., Houck, J. R. (2014). Altered tendon characteristics and mechanical properties associated with insertional achilles tendinopathy. Journal of Orthopaedic & Sports Physical Therapy, 44 (9). Flannery, M.; McAndrews, L.; Stein, K.F. (2013). Symptom reporting by telephone for individuals with cancer.. Oncology Nursing Forum. Jungquist, C.R., Flannery, M., Perlis, M.L., Grace, J.T. (2012). Relationship of Chronic Pain and Opioid Use with Respiratory Disturbance During Sleep. Pain Management Nursing, 13 (2), 70-79. Flannery, M., Phillips, S., & Lyons, C. (2009). Examining telephone calls in ambulatory oncology. Journal of Oncology Practice, 5 (2), 57-60. Flannery, M, (2003). Examining predictors of the association between pain and opioid use in cancer patients. Dissertation Abstracts International. Flannery, M. (1997). Nursing care of the client with genital cancers. Core Curriculum Oncology Nursing, 524-551. Flannery, M. (1995). Reproductive Cancers. Instructor's Resource Manual for the ONS Core Curriculum. Flannery, M. (1994). Gynecologic Oncology. Oncology Nursing Forum, 21, 606. Flannery, M. (1992). Reproductive Cancers. Core Curriculum Oncology Nursing, 451-469. Flannery, M. (1992). Characteristics of major cancers: Reproductive. Study Guide for the Core Curriculum for Oncology Nursing, 185-190. Nail, L., Greene, D., Jones, L.S., & Flannery, M. (1989). Nursing care by telephone: Describing practice in an ambulatory oncology center. Oncology Nursing Forum, 16, 387-395.